The US air force has carried out an airstrike on Iraq's Popular Mobilization Units close to the Syrian border, a PMU source told Sputnik. "US planes bombed fighters of the Seyid Suheda unit. The wounded have been taken to various hospitals in Iraq for treatment. Some of them are in a serious condition. The region in which they were attacked is located on the Iraqi-Syrian border, 20 km from the city of El Baac. We strongly condemn this deliberate attack." The recent airstrike is not the first time that US forces have bombed pro-government fighters in Iraq. In October, an airstrike conducted by the US-led coalition in Iraq "most likely" killed around 20 pro-government Sunni tribal fighters south of Mosul, a defense official told AFP. 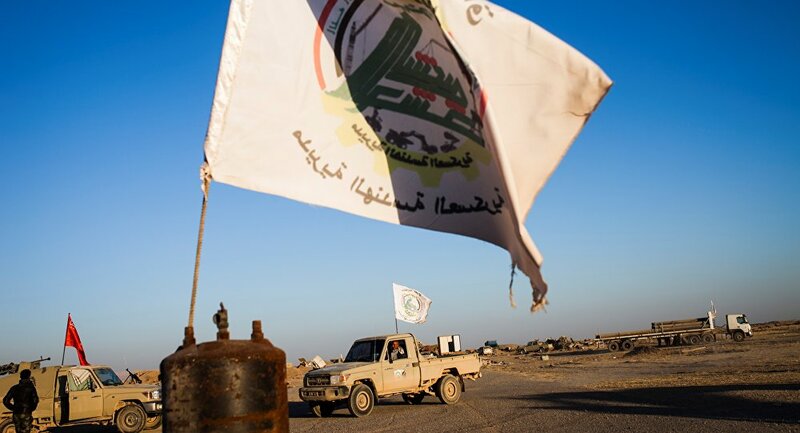 Iraq's Popular Mobilization Units, or Hashd al Sha' abi, comprise approximately 100,000 fighters who are mostly Shia. They have played a vital role in anti-terrorist operations in Mosul and elsewhere. Last week, the PMU assisted the Iraqi army in launching an operation to retake the northwestern city of Tal Afar. Mostly populated by Sunni Turkmen, the city is the Daesh terrorist group's last remaining stronghold in the country. The US has also bombed militia fighting Daesh in neighboring Syria. On June 8, the US-led coalition bombed pro-Assad militia near al-Tanf in the area of a deconfliction zone following an alleged attack by a combat drone resulting in no coalition forces' casualties. It was the third attack by the coalition on Damascus' allies in the area. The coalition targeted a drone and trucks with weapons.